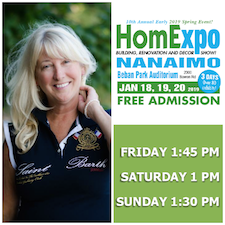 The first Home Expo of the year comes to Nanaimo this January! Visit the show to see all the newest products and services for your home, and find the best solutions for your needs, all in one great location, over three BIG days! Think of all the home renovation and décor projects you’ve been dreaming of, and create your dream home with help from local professionals and experts. Save thousands on home improvements, and find the finishing touches you need to make your house a home and the resources to make your home a masterpiece! Be sure to catch the presentations, happening all weekend in the Show Theatre, featuring Colin Bartlett of The Backyard Wildbird & Nature Store, and Amanda Clarke of Luxury Getaway Travel. Free seminars all weekend; see the schedule for details. ➥ See the Theatre Schedule here! 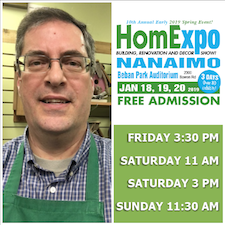 Come to the Nanaimo Early Spring Home Expo, January 18-20 at Beban Park Auditorium, located at 2300 Bowen Road in Nanaimo. There are fantastic prizes to be won, as well as in-booth demonstrations all day. We know you will be impressed by this year’s line-up. 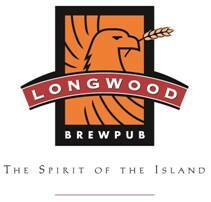 Admission is FREE all weekend, plus a chance to WIN dinner out at Longwood Brew Pub! Looking for information for Exhibitors? Click here to switch to the Nanaimo Early Spring Home Expo Exhibitor Information!